When it comes to investing – your financial personality, which is a reflection of your attitude about money based on your behavioral and emotional traits, tends to get in the way of good decision making. When it comes to money, we all know we shouldn’t act emotionally – our brain should take over, but sometimes it doesn’t, sometimes our financial personality gets in the way. The Wall Street Journal recently presented a streaming discussion with several well known experts titled “How to Tame Your Emotions When Investing” focusing on how your financial personality gets in the way of financial success in investing. In Chapter 1 of Personal Finance, Turning Money into Wealth, we introduce Principle 9: Mind Games, Your Financial Personality, and then in Chapter 11 we look at how your financial personality can get in the way of successful investing. The discussion in The Wall Street Journal Report looks at things like how investors rely on experts, base decisions on opinions rather than facts, trade too much, are overconfident and lose out by paying commissions. The discussion focuses on many different dimensions of “the financial personality” and why many individuals simply are not good investors. Where do you think you fit in? The more you know about behavioral finance the more likely you are to avoid some of the common investing pitfalls. 1. Listen to the streaming discussion titled “How to Tame Your Emotions When Investing.” One of the items discussed was the fact that investors ignore taxes when making investment decisions. What did Terrance Odean say about this? If you invest, have you ever thought about the tax implications when making an investment decision? 2. Take one item that was discussed in this streaming discussion that you felt was interesting and be prepared to discuss it in class. There’s no question about it, it’s easier to spend than it is to save. Saving isn’t a natural event – it must be planned. Let’s face it, many people don’t save, and on top of that they spend more than they take in. In the long run, that’s a recipe for disaster. Unfortunately, many individuals think they have a handle on their finances only to find out, when it’s too late, that they’ve been living beyond their means. A recent article in the mint.com blog titled “7 Signs You are Living Beyond Your Means” looks at several key indicators that might help you realize that you might be heading in that direction. If you find out that you are on that road, what can you do about it? An understanding of setting up a budget and putting together a plan that will insure that you bring in more than you spend is a good place to start and that is addressed in Chapter 2 of Personal Finance, Turning Money into Wealth. Then in Chapter 5 we introduce the concept of “paying yourself first” which starts by automating savings – that is, having a certain percentage of your income automatically deducted from your paycheck and placed into your savings account. 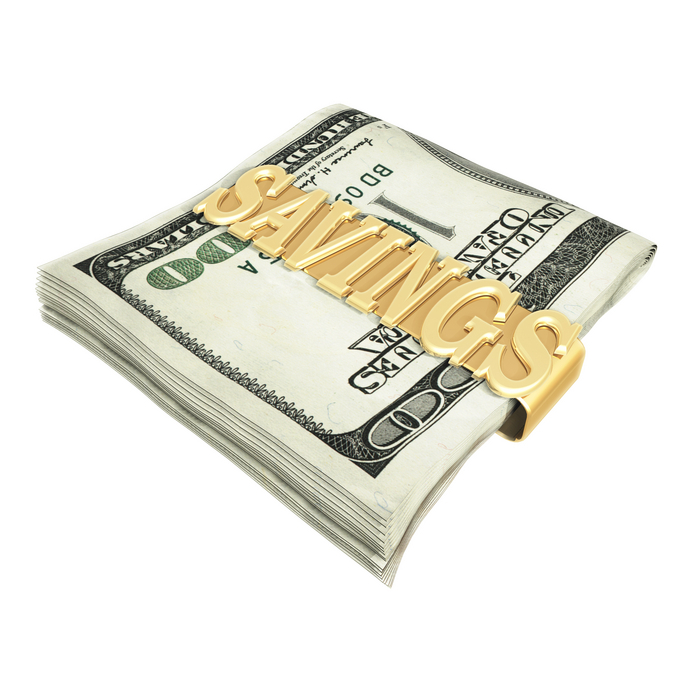 As we said at the start it’s hard to save and automating your savings makes it easier. This might be the start of keeping your finances under control. Take a look at the article “7 Signs You are Living Beyond Your Means,” have you ever done any of these things? Come up with your own “sign” that you are living beyond your means. . Be prepared to discuss your response to both of these in class. What are you currently doing to keep track of your financial situation? How would “paying yourself first by automating your savings” help you to control your spending? Use your brain, don’t act emotionally – that’s generally the advice given to individuals when they invest. Unfortunately, it’s impossible to take your financial personality and your emotions out of investment decisions. In Chapter 1 of Personal Finance, Turning Money into Wealth, we introduce Principle 9: Mind Games, Your Financial Personality, and Your Money. That principle points out how your financial personality, and the behavioral biases that come with it, can lead to big financial mistakes. In effect, your mind can get in the way of good financial decision-making. If you understand your financial personality and how it impacts your investment decisions, you can use that understanding to make better investment decisions – and keep from making mistakes driven by psychological pulls. How well do you know yourself? A recent article in The Wall Street Journal, “Investor, Know Yourself” offers a quiz that will give you insights as to how your financial personality is driving your decisions one way and the other. You might be surprised. Work through the article, “Investor, Know Yourself” in The Wall Street Journal. Be prepared to discuss your response to each of the questions posed. What did you learn about your financial personality? Are you more of a risk-taker, or are you more risk averse than the average American (question 1 in the article)? What does your response to each of the following say about your financial personality: (2) your propensity for regret, (3) confidence, (4) conscientiousness, (5) extroversion, (6) agreeableness, (7) openness, and (8) anxiousness – and how did you respond to the 8 questions in the article? Be prepared to discuss this in class and give some specific examples of actions that are consistent with your financial personality. In Chapter 1 of Personal Finance, Turning Money into Wealth, we introduce Principle 9: Mind Games, Your Financial Personality, and Your Money. That principle points out how behavioral biases can lead to big financial mistakes. In effect, your mind can get in the way of good financial decision-making. Could that really be true? In his current best seller, The Money Code, Joe John Duran proposes three “money minds” which control the ways in which we spend, save, and think about finances. Once you understand your financial personality, or “money mind” as the author calls it, you can use its strengths and, with an awareness of its deficits, avoid financial mistakes that you might otherwise make. To help you determine what types of behavioral biases you might have, the author has put together an online financial personality quiz. This quiz doesn’t take long, and at the end you’ll be classified a protector, a pleasure-seeker, or a giver. Take the Money Minds Financial Personality Quiz. Were you classified as a protector, a pleasure-seeker, or a giver? Does this make sense to you? Be prepared to discuss this in class and give some specific examples of actions that are consistent with your financial personality. Repeat question 1, but instead of discussing your insights in class, write a one- page paper that discusses why you fit or do not fit the assigned financial personality. Also give some specific examples of actions that are consistent with what you feel is your financial personality. 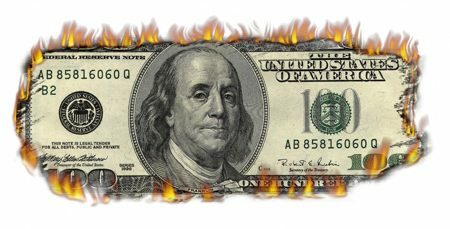 As you learned in Chapter 7 of Personal Finance, Turning Money into Wealth, you should be wary of “payday loans.” Recently, banks have moved into this market with “bank deposit advance loans” which look an awful like payday loans – lasting, in general, for about two weeks with loan amounts up to about $500. 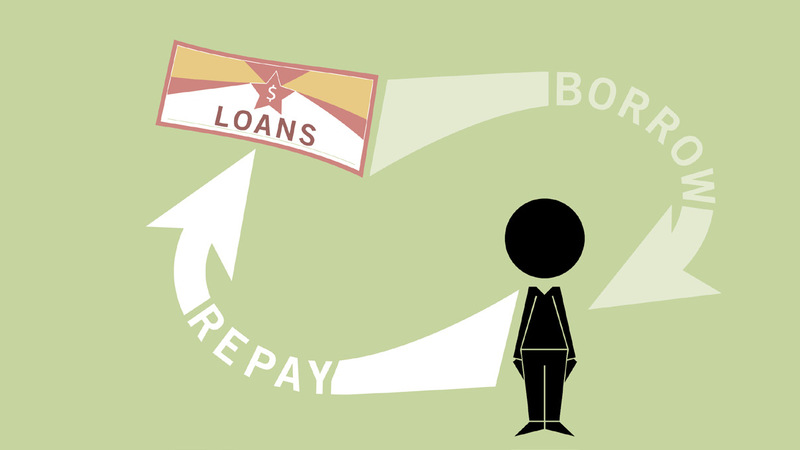 Both bank deposit advance loans and payday loans are aimed at people with jobs and checking accounts, but who need some money (usually $100 to $500) to tide them over for 1 or 2 weeks, or until their next “payday.” Lately, these loans have even surfaced on college campuses where students may not even have a job or a paycheck, just an allowance from home. To say the least, the fees on these loans are quite high, costing from $10 to $15 to borrow $100 for only two weeks. Recently Pew Charitable Trusts came out with a report on them, “How Borrowers Choose and Repay Payday Loans.” The findings were startling. 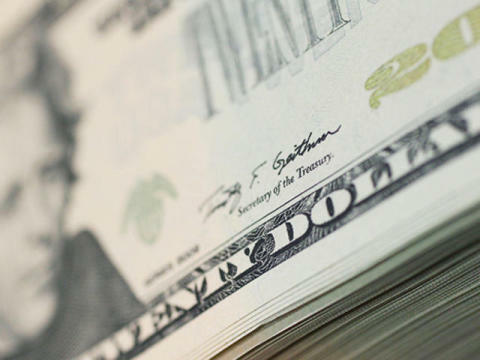 They found that over half of the borrowers were not borrowing for temporary emergencies, but rather dealing with persistent shortfalls, and that only 14 percent of borrowers can afford enough out of their monthly budgets to repay an average payday loan. 1. Read through the Overview and Key Findings of “How Borrowers Choose and Repay Payday Loans” – what do you think of payday loans? Do you think they should be regulated in some way? Why or why not? 2. Principle 1: The Best Protection Is Knowledge – will hopefully give you the edge in your personal financial life. You will know to question, even the bank’s information if it seems too good to be true. What advice would you give to a friend who told you she was going to her bank to get a “deposit advance loan”? available to you at any time, or liquid. If liquid funds are not available, an unexpected need, such as job loss or injury, may push you to have to cash in a longer-term investment. While maintaining a rainy day fund is just common sense, not everyone has one. In fact, according to a survey by Netcredit.com, close to half of those surveyed indicated they are living paycheck to paycheck, and of those in their 30s, 62% were concerned about living paycheck to paycheck. 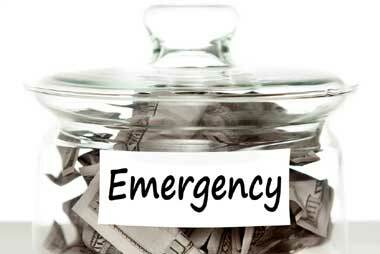 Moreover, according to a recent FDIC study, nearly half of Americans cannot access $2,000 in 30 days to meet an emergency. Take a look at the 2012 NetCredit Survey, with today’s economic situation, what are the most common primary financial goals? Looking at the 2012 NetCredit Survey, where would most people turn to for cash to manage a financial emergency? Where would you turn to for cash if you needed it for an emergency? Be prepared to discuss this in class. Take a look at Your Survival Guide for Tough Times. On page 6 of the Survial Guide there is a listing of unwise practices to avoid. Which one of those do you think is most dangerous to your financial health? Be prepared to discuss this in class. As you saw in Principle 9: Mind Games, Your Financial Personality, and Your Money, much of your approach to money is determined by your Financial Personality. When some of us get money, it’s gone in no time – others have the ability to look into the future and save. It’s hard to say in advance who might handle their money well and who might not. For child actors, it is even more of a problem. Their future financial security is dictated by what their parents or financial planners do with their earnings – and it doesn’t always end pretty as the article “Financial Mismanagement: Child Stars Who Lost it All” shows. 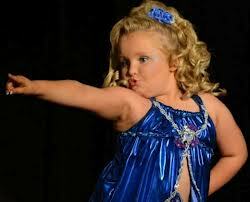 One of today’s child stars is Honey Boo Boo from the hit TLS reality show “Here Comes Honey Boo Boo.” If you’ve seen the show, you might not have that much confidence in Mama June’s ability to handle Honey Boo Boo’s money – but you’re wrong. Apparently Mama June is one of those people born with a great financial personality. According to the article “Mama June Sets Up Trust Fund For Honey Boo Boo & Daughters,” Mama June recently told TMZ that the family receives between $15,000 – $20,000 per episode, and this is divided equally into accounts for the children: Alana “Honey Boo Boo” Thompson, 7; Lauryn, 12; Jessica, 15; Anna, 18, and baby Kaitlyn, and that “TLC puts the money into the girls’ trust accounts for me and then I get an e-mail telling me how much everyone gets. I want my kids to look back and say, ‘Mama played it smart. Not like those other reality TV people.’” Mama June when on to say, “You’re never gonna see me drive a Range Rover or a Mercedes. I’ll drive one if someone else pays for it. Never gonna live above my means.” You’ve gotta like Mama June! After reading Principal 9 Mind Games, Your Financial Personality and Your Money in Chapter 1 of Turning Money Into Wealth, can you think of some things from your childhood that might have had an effect on how you handle your money?